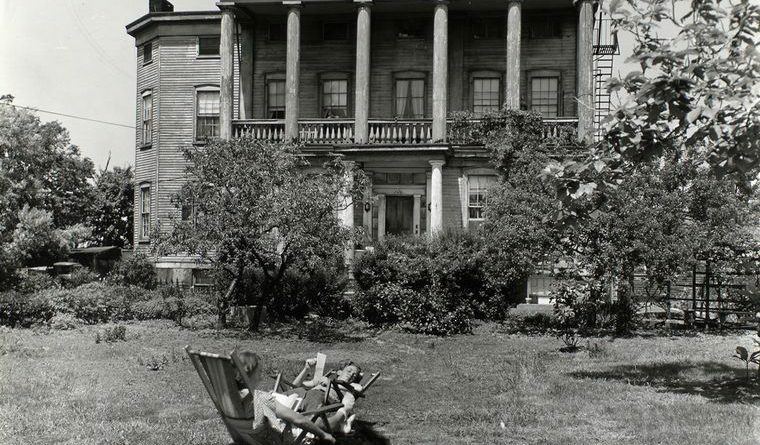 You’ll still find a few free-standing homes on the far western end of Astoria — traditionally called Hallet’s Cove — but you won’t find the one above, a veritable (if ramshackle) plantation getaway as photographed by Berenice Abbott in 1937. 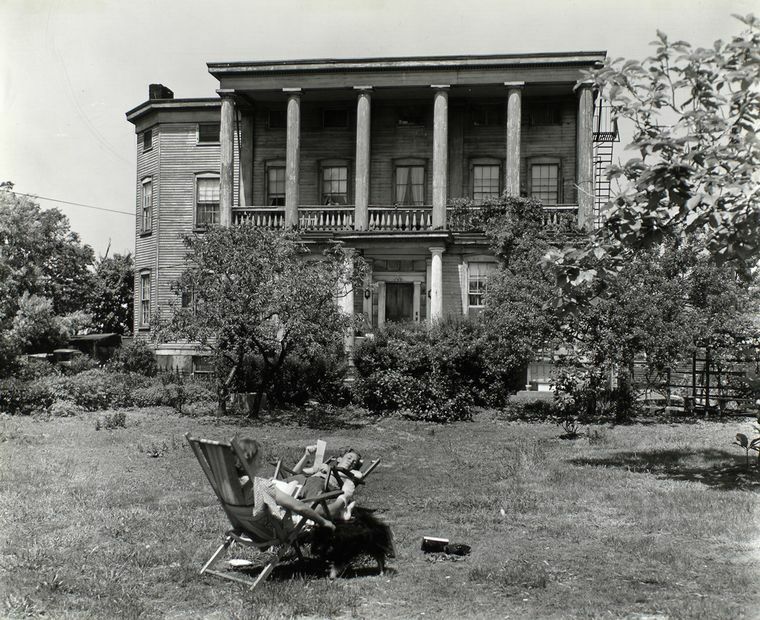 The caption of this picture places this house in the hands of Joseph Blackwell, an ancestor of an early settler to this area. Another descendant, Col. Jacob Blackwell, remained loyal to the British during the Revolutionary War; it was his home, named Ravenswood, that gave its name to the neighborhood that stretched just south of here. The mansions of Ravenswood are legendary. This was one of many such multi-story single-family homes that lined Franklin Street, in the shadow of ‘The Hill‘, an elegant neighborhood in the days soon after the borough of Queens was created and incorporated into New York City in 1898. This property was but a short stroll from the original estate of Stephen Ailing Halsey, the founder of the original village of Hallets Cove. The village was later renamed Astoria in order entice John Jacob Astor to invest here. Barely interested, Astor did manage to give Halsey $500. Franklin was later ingloriously renamed to 27th Avenue. ← Happy Thanksgiving Masking: The pleasures of mischief, featureless masks and cross-dressing children!